Leroy Hunter, Sr., was born July 12, 1928 to his parents Jimmie and Gertrude Gordy Hunter in Russell County, Alabama. Leroy was the sixth of eleven siblings reared on Godly principles and love. 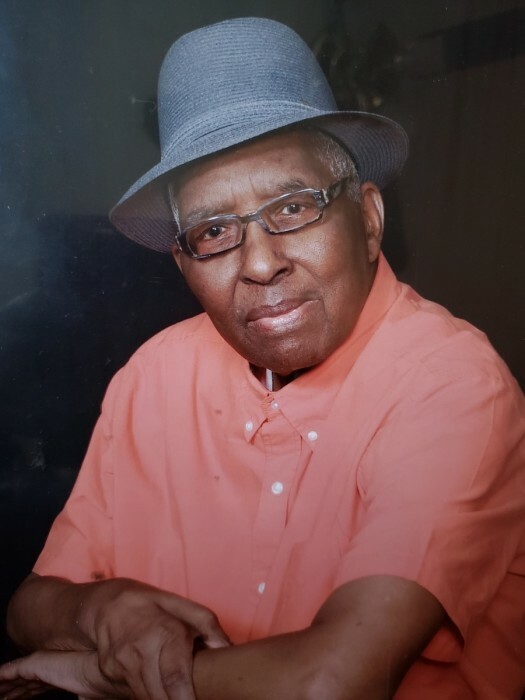 Leroy Hunter, Sr. took those principles and accepted the Lord Jesus Christ as his Savior at a young age and held on to God’s unchanging hand until his willingness to accept his wings to heaven a few days ago. Leroy, also known as Brother, was united in marriage to the love of his life, Sallie Upshaw in Russell County, Alabama on December 27, 1951. Leroy met Sallie while driving the school bus. It was love at first sight. He left the red clay of Alabama in pursuit of a better life and happiness; trading it all for the bitter cold, black dirt, and foundries of Northwest Indiana. Pursuing prosperity and all that Indiana has to offer at that time; Leroy was employed at the American Steel Foundries of East Chicago, IN for over 40 years. Leroy was the true example of hard work and dedication. He like many others carried his lunch bag and walked to the foundry proudly. Leroy and Sallie’s union begat four children: Curtis, Leroy, Jr., Larry and his baby LaTonya. He was a good role model and dear cousin and friend to many. He enjoyed sharing his wisdom to all. Leroy upheld his parental principles by not only loving and caring for his immediate family, but he assumed the role of father for his grandchildren and his sister’s children as well. Leroy loved the Lord, spread his Word, and often witnessed to the goodness of the Lord. Leroy had the patience and spirit of Job, in spite of all his afflictions; he believed that he would meet his maker soon. Leroy was on countdown. Always claiming he was going to be next. Leroy’s time finally arrived on Saturday, March 31, 2019; he surrendered this earthly home and traded it for his heavenly home. Leroy now joins his parents Jimmie and Gertrude Hunter; siblings Gussie Mae, J.C., Jimmie, Willie James Hunter, Odell Battle, Adell Trotter, and Ida B. Upshaw; brothers-in-law, Silver Battle, Sr., and L.C. Brown; cousin McKenzie Hunter and the love of his life, Sallie Upshaw Hunter. Leroy leaves to cherish his memories his loving daughter, Latonya (Mark) Douglas of Griffith, IN; sons Curtis Hunter of East Chicago, IN, Leroy Hunter, Jr., of Merrillville, IN, Larry Hunter of Atlanta, GA, and his baby boy Terrell Hunter of East Chicago, IN; siblings Robert (Maxine) Hunter of Jonesboro, GA and Gertrude Brown of Ft. Myers, FL; three sisters-in-law Lula, Hattie, and Louise Hunter all of Ft. Myers, FL; brother-in-law Marshall Upshaw of Ft. Myers, FL; favorite cousin Clarence Hunter; ten grandchildren, Tasha, Lanicia, Travis, Leroy (Shelia) III, Terrance (Rachel), Keisha, Mark, Tyler, James, and Bates; eleven great-grandchildren and a host of nieces, nephews, cousins, and friends.